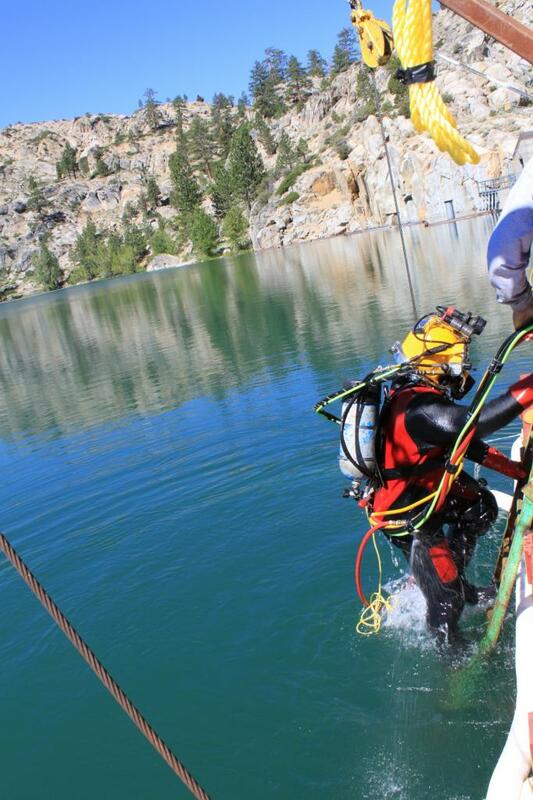 High Elevation Relief Reservoir Maintenance - Global Diving & Salvage, Inc. 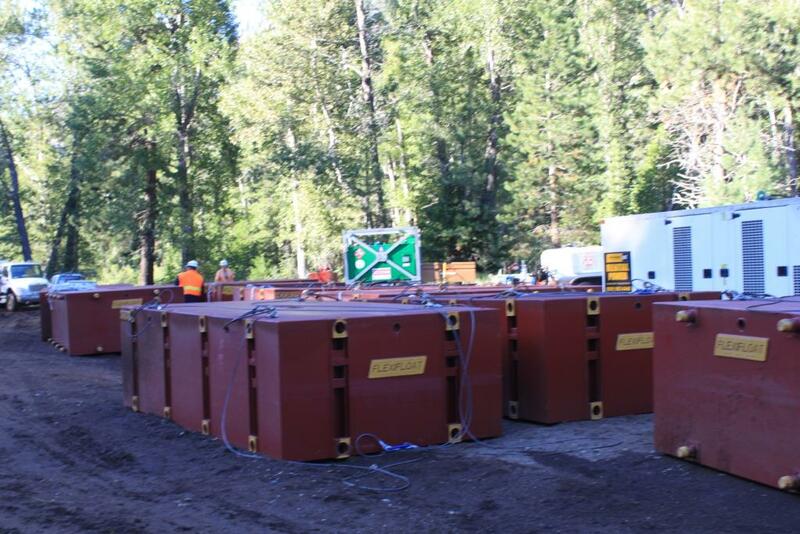 Global was hired to install blanking flanges on the upstream end of a high elevation dam in 150 feet of freshwater so our client could perform maintenance on three valves in the outlet works piping of the relief reservoir. This remote reservoir is located in the Sierra Nevada Mountains at an elevation of 7,300 ft with no road access to the facility. 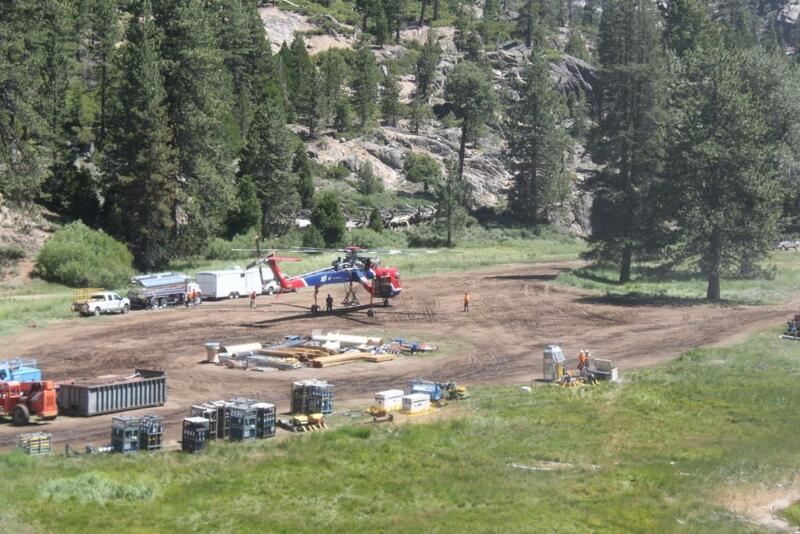 All equipment and materials for this site were brought in by helicopter or mules. Due to the high elevation and depth of dive operations, mixed gas diving was the primary form of diving employed to maximize working bottom time. Due to the greater decompression requirements of mixed gas techniques, decompression chambers were utilized to ensure the diver’s safety. A heavy lift helicopter (Sky Crane) was brought in to transport sectional barge pieces since the the crest of the dam was not wide enough for the dive equipment. Each piece was 15 ft by 7 1/2 ft and weighed over 8,500 pounds. 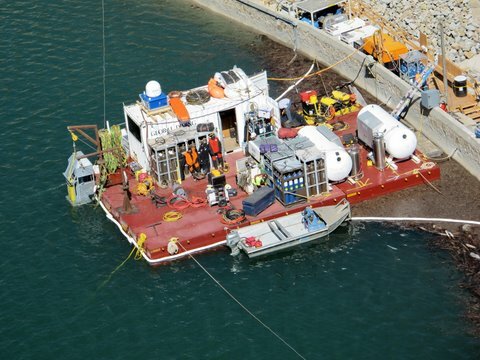 Together they created a 30 ft by 45 ft dive barge. 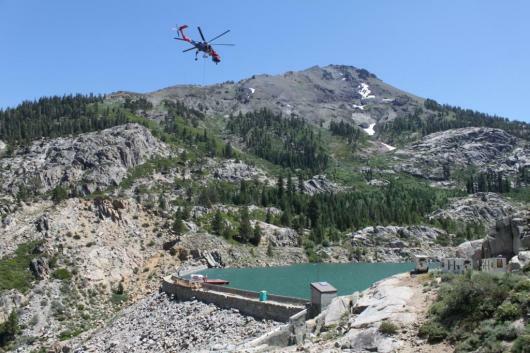 The heavy lift helicopter then lifted two decompression chambers and a dive van from the staging area in Kennedy Meadows to the relief reservoir, a five minute flight. Helicopter operations included a comprehensive security plan as the staging area is a high traffic tourist site for pack trains and hikers.